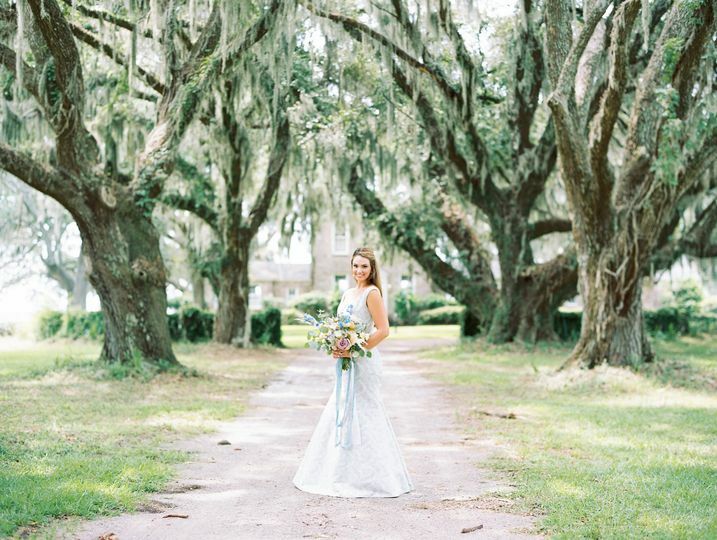 Coosaw Plantation is a historic wedding venue located in Seabrook, South Carolina. 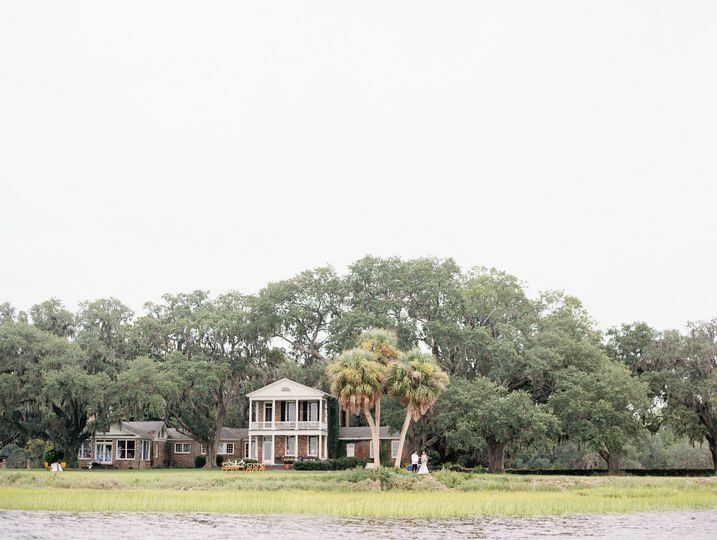 This Southern plantation is located on the beautiful Chisolm Island which is full of rich history of the famous Lowcountry of South Carolina. 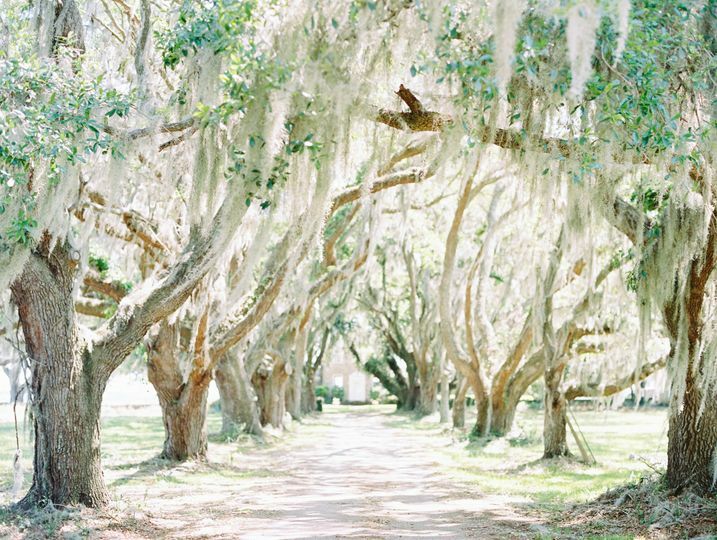 Coosaw Plantation offers natural beauty through its southern charm, gorgeous weeping willows, and coastal views. 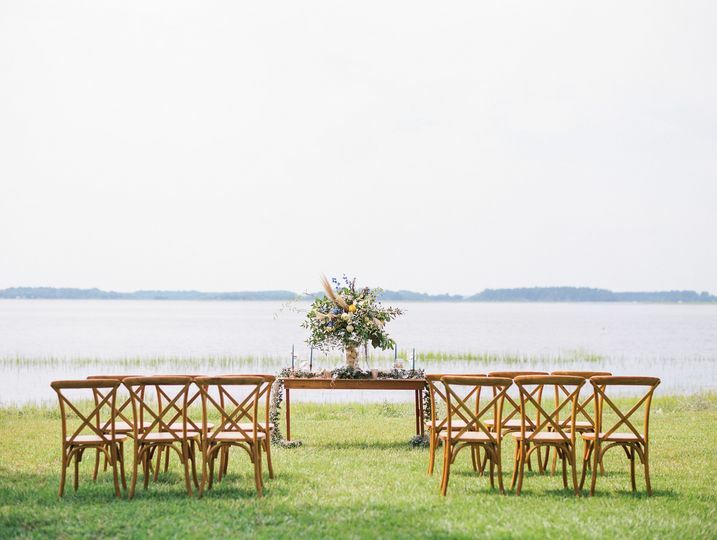 This wedding venue is a lovely waterfront scene to exchange vows and celebrate with friends and family. 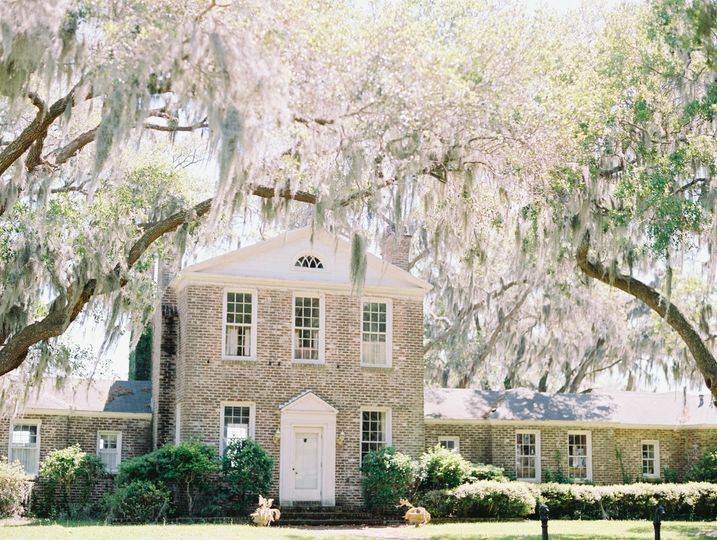 Coosaw Plantation is situation just a few minutes from downtown Beaufort and only a short drive from the Charleston peninsula. While this venue is conveniently located, it also offers a feeling like you’ve been transported far from all the big cities. 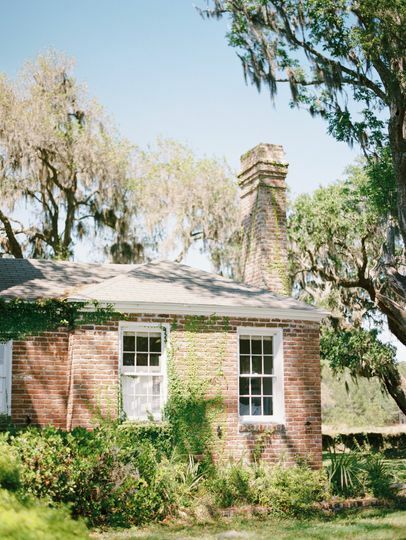 The grounds of Coosaw Plantation are home to Coosaw Hall, a stately brick house. Coosaw Hall has three bedrooms and three bathrooms and is available for overnight accommodations. This house can comfortably sleep 11 guests. 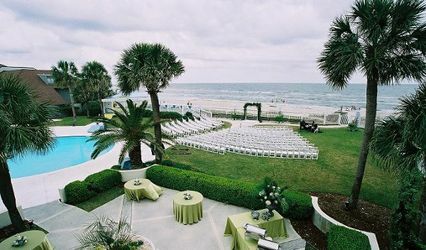 The lakefront lawn is a serene location that is commonly used for wedding ceremonies. Additionally, you would have access to the East Lawn where receptions are often hosted. 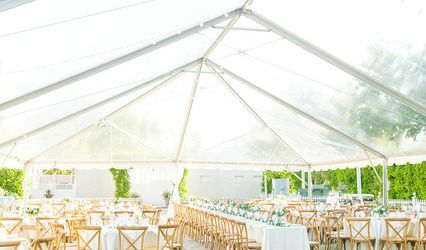 The space can accommodate parties with up to 200 guests and tents that are 40 x 70 in size. 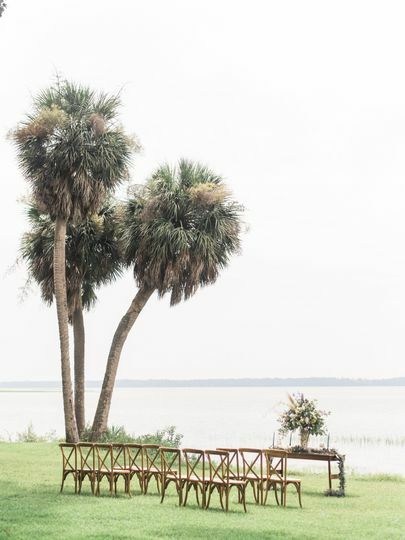 The entire estate spans over 1,500 acres of land, offering plenty of space for your special event. Coosaw Plantation was established back in 1852. 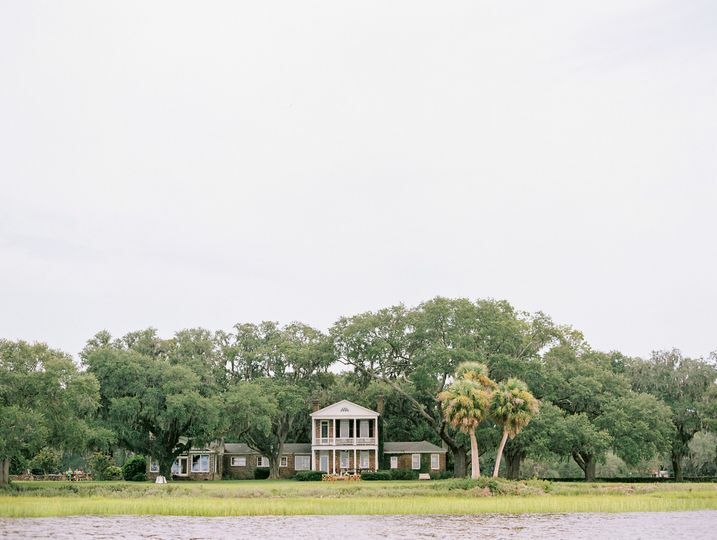 The roots of this plantation are traced back to senior aide de champ to General Beauregard, Alexander Robert Chisolm, who the island is named after. Through many real estate transactions over 100 years, this estate experienced many changes. Eventually, in 1965 Coosaw Plantation was sold to Dr. Marshall Clement Sanford to be used for farming and has remained in the family ever since. 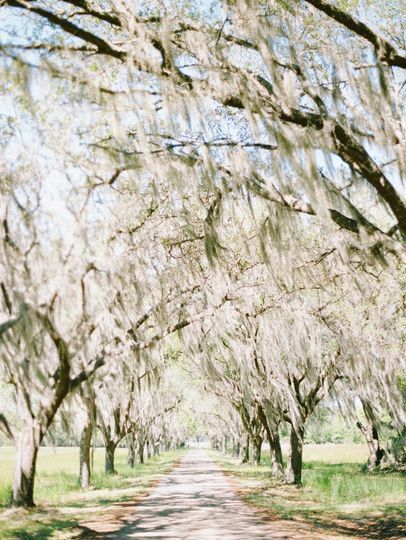 When your guests arrive at your special event at Coosaw Plantation, they will be greeted by a traditional long driveway lines with beautiful oak trees. They will immediately feel like they have been transported back in time. 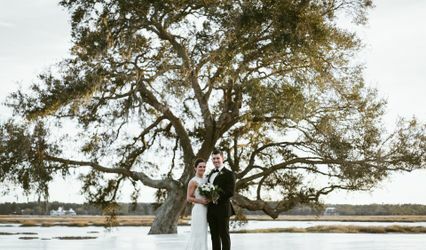 The entire estate including the waterfront lawn, the East Lawn, and Coosaw Hall will be available for use on your special day.